Operating from our nationwide network of branches & agents, Ian Dickie manufactures and distributes a comprehensive range of equipment designed to unblock drains and pipes. We have a wealth of experience in providing solutions to plumbing and drainage contractors as well as supplying equipment to municipalities throughout Africa. 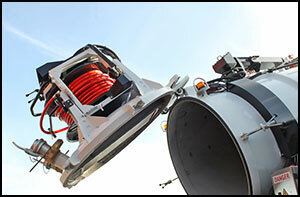 In particular, Ian Dickie have established a formidable reputation as a key supplier of Truck Mounted Sewer & Drain Cleaning Machines. 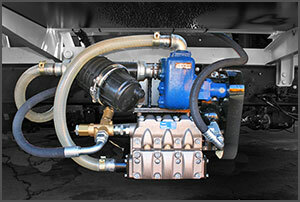 Over the course of 50 years Ian Dickie have conducted extensive research and development in the field of Truck mounted Jetting and Vacuum Systems. We now confidently offer a variety of builds to match our clients needs, both locally and throughout Africa. 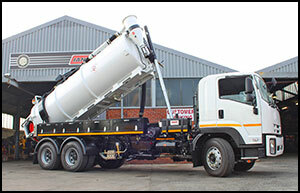 Our Combination Jetting and Vacuum machines offer high pressure water and high volume vacuum capability utilizing seperate water and vacuum tanks which are sized to your particular requirements and mounted to the truck chassis of your choice. 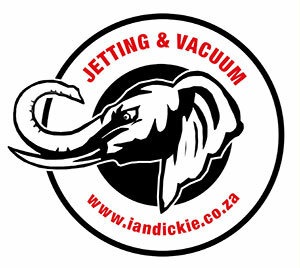 The Ian Dickie Combination Jetting/Vacuum machines are able to Jet pipes clean using the relevant nozzle or chain flail to clear the line and return the debris back to the manhole. 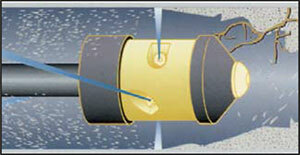 The High Volume Vacuum then lifts and stores the debris in the vacuum sludge tank until full. On clearing the blockage the truck can then drive to the discharge site and deposit the load. 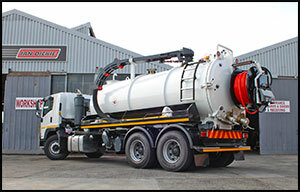 Ian Dickie also build dedicated Vacuum Trucks which are used extensively throughout Southern Africa to clear septic tanks, cesspits and portable or municipal toilets. In our experience possibly the most important aspect of the Ian Dickie Jet Cleaner’s effectiveness are the accessories, and it is in this field that our expertise is highly regarded. We carry a full range of high quality accessories, including: Retrojet nozzles with replaceable sapphire steel inserts, highly effective rotating nozzles, rotating chain flails for root or calcium build-up as well as pulsating cutter and drill heads for concrete and other difficult blockages.